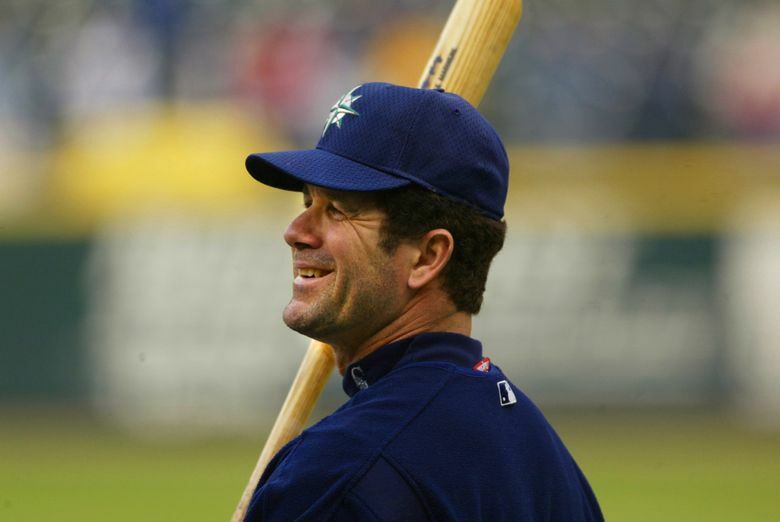 It’s been 10 long years, but the moment of truth is here: On Tuesday afternoon, Mariners great Edgar Martinez will learn if he earned election to the Baseball Hall of Fame. Based on the most recent numbers, it’s fair to expect his name to be called. The speculation and the constant Twitter refreshing can end. The analyzation of released ballots from a sample size of about half the expected vote and projecting it will no longer be necessary. And the battle between teeth-gnashing anxiety and dreamy hope inside the minds of Mariners’ fans will either explode into more bitter disappointment … or into long-awaited joy for Edgar Martinez in his quest for baseball’s highest honor. After a few months of ballot watching/tracking/critiquing, the much-anticipated announcement of the 2019 Baseball Hall of Fame Class will be made live on MLB Network, MLB.com and MLB’s Facebook page at approximately 3:15 p.m. Pacific time Tuesday. The extensive coverage begins at 3 p.m.
Will the decade-long wait for Martinez and the Mariners culminate in a selection that once seemed impossible? There will be a level of finality for Martinez in this announcement, regardless of the results. He’s in the 10th and final year of eligibility on the ballot. If he fails to appear on 75 percent of the 400-plus ballots cast by eligible members of the Baseball Writers’ Association of America, Martinez will have to wait until potential induction from the “Eras” committees. But perceived jinxes aside, it really does seem as though Martinez will reach that magical 75 percent in his final year on the ballot. He’d join a 2019 class with expected selections Mariano Rivera and Roy Halladay along with Lee Smith and Harold Baines, who were previously chosen by the Modern Era Committee in December. Thanks to the tireless ballot-tracking done by guru Ryan Thibodaux and his interns resulting in an extensive and informative spreadsheet, it allows some level of projection of the voting. While ballots needed to be sent in before Dec. 31, voters started releasing their ballots to the public in stories and on Twitter weeks ago with some still doing it right up into the announcement. As of Monday afternoon, there were 217 known ballots to Thibodaux and his staff in this voting class. Martinez has appeared on 197 ballots, which is 90.8 percent of the vote. A year ago, Martinez was on 77.1 percent of the 231 known ballots going into the announcement. He eventually finished just short of the required number, appearing on 297 of the 422 ballots cast for a 70.4 percentage. Even if he experienced a 7 percent regression this year, he’d still be on the requisite number of ballots for induction. Although it isn’t a guarantee, the last eight players to finish in the 70-74 percent range on a vote reached induction the following year. The optimism in the projection for Martinez is votes gained. Thibodaux monitors ballots from last year to this year, keeping track of new votes for each player. Martinez fell 20 votes short a year ago. The expectation was that he’d need to gain at least 20 new votes for induction. He’s currently gained 26 votes and lost one, for a net of plus-25. It feels almost inevitable, which is a stark contrast to the hopelessness fans felt following the 2014 vote when Martinez had appeared on just 25.2 percent of the ballots. That represented the low point in his time on the ballot. Since then, he’s steadily climbed into relevance. A changing voting base, which includes younger, more progressive voters who don’t discriminate against the designated hitter position and embrace sabermetric evaluation, detailed and deep statistical analysis from writers like Jay Jaffe of FanGraphs and Ryan Spaeder of The Sporting News and strong social media pushes from the Mariners and other analysts has resulted in a steady climb to this point. The 2019 Hall of Fame class already includes two players who were announced based on a vote by the Modern Era committee. Baines, a designated hitter, and Smith, a closer, already have been elected to the class. That announcement came in December. The class will be headlined by Rivera, who will easily gain induction in his first year on the ballot. But will he be the first player to be selected unanimously. The career leader in saves has appeared on 100 percent of the ballots tracked. However, Ken Griffey Jr. was in a similar position going into the 2016 announcement, but three anonymous voters left him off their ballots. Their identity and reasoning is still unknown. Griffey has the highest percent of votes at 99.32. Halladay, a starting pitcher, is expected to be elected posthumously. He’s appeared on 92.6 of the ballots tracked while right-hander Mike Mussina is right on the border, appearing on 81.6 percent of the ballots. There is some expected regression from unshared ballots for Halladay, Martinez and Mussina. Two years ago, the BBWAA voted to make all Hall of Fame ballots public after that class’s vote was finalized. However, the Hall of Fame decided against the decision, giving voters the option of anonymity and not having their ballot shared. The induction ceremony for the 2019 class will be Sunday, July 21 in Cooperstown, N.Y.